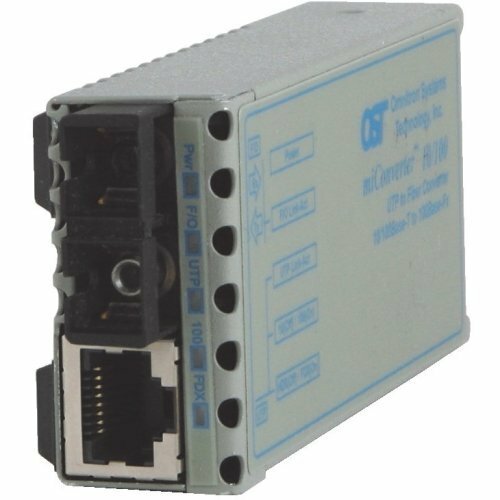 * Marketing Information: The miniature miConverter 10/100 is a rate-switching 10/100 UTP copper to 100Base-Fx fiber media converter that provides cost-effective fiber network extension and connectivity. The miConverter 10/100 Plug-and-Play capability ensures compatibility with network equipment and simplifies fiber-to-the-desktop deployment. The miConverter 10/100 supports a variety of fiber types and offers many power options including a USB-powered option for fiber-to-the-desktop computing. If you have any questions about this product by Omnitron, contact us by completing and submitting the form below. If you are looking for a specif part number, please include it with your message.